Fall brings wet weather, and we’ve got the perfect thing to help you ride it out. 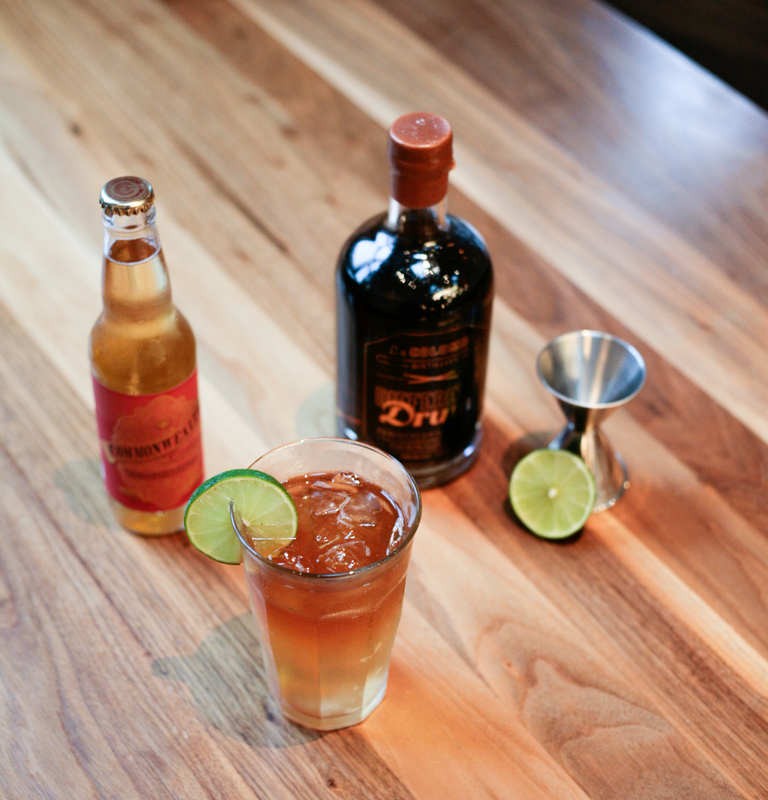 During one of this week’s rainstorms, we whipped up some Dark & Stormies using our Different Drum coffee-infused rum and Commonwealth’s Gregarious Ginger Cider, made locally at Philly Brewing Co. The cider is nice and spicy, and the ginger plays up the subtle coffee flavors in the rum, putting a good heat on the dampest of days. This recipe is maximum relaxed – put in as much cider or rum as you want. Fill a tall glass most of the way with ice. Grab a bottle of Gregarious Ginger Cider and pour in about 8-10oz. Use a jigger to measure out a couple shots of Different Drum Rum. Dash some orange bitters on there and stir with a long spoon. 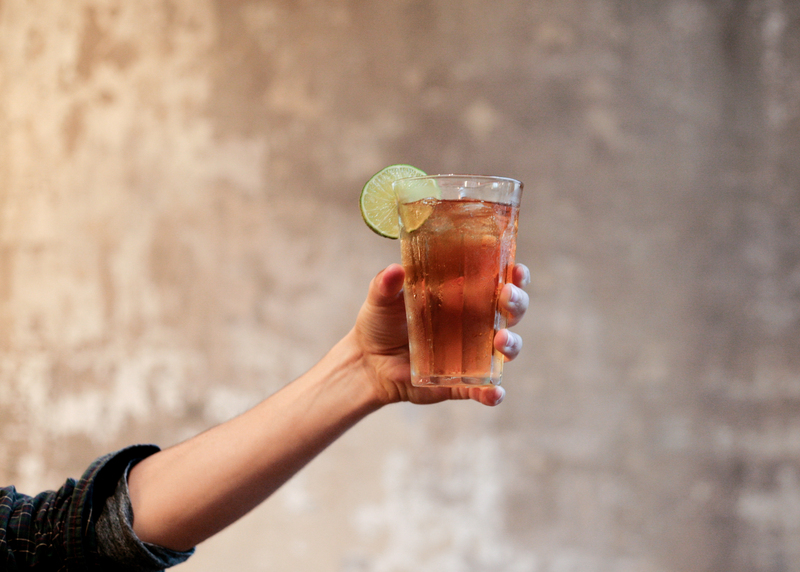 Pro-tip: If you like drinks sweeter, cut the spice with a little simple syrup. why do you only ship this rum to D.C. and Pensylvania only, I was looking forward to ordering some? I enjoy watching your show Uncommon Grounds, thanks. We’re only licensed to sell in those states! Hoping to expand someday. Allow me to chime in, and state that a standard Boulevardier with your rum also is pretty amazing (use lemon twist). Thanks for making the draft lattes kosher certified. I saw it in the local Target in Minneapolis, and quickly picked one up. It would be wonderful if the Different Drum Rum would also be kosher. Since you use pure ingredients, it seems viable. are you still producing Different Drum. Bought one of the early bottles and it was AMAZING! I see that you are sold out online. Do you still have bottles available if I travel to Philly? You can pick them up at our flagship location in Fishtown. Any bars in DC serving Different Drum?